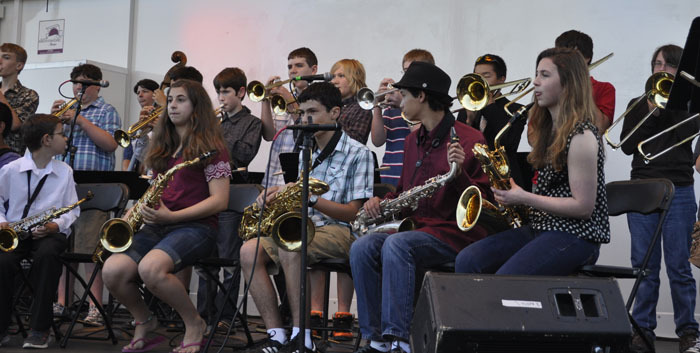 For the finale of a 7-day-long Jazz Camp that Ray attended at Shorewood H.S., the students played a gig at Shoreline's Jazz Walk on Aug. 14. First off, the "super combo" played....not "C Jam Blues", but "Bb Jam Blues" along with some other riffs. Nobody needed sheet music for this one. Ray's at far right, back row. More Ellingtonia, with a Big Band: Satin Doll. Ray's right in the middle of the trombone section.